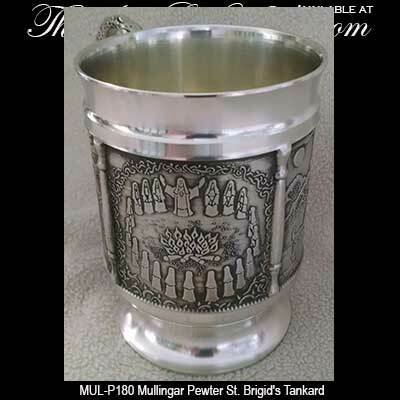 The St. Brigid's tankard is made of lead free pewter. 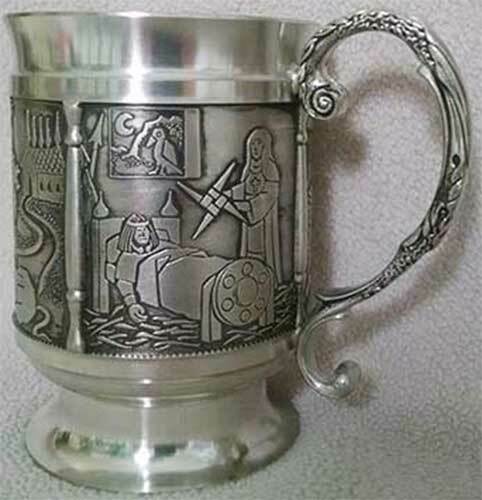 The pewter St. Brigid's tankard features four panels that have embossed designs that depict the life of this famous Irish saint. 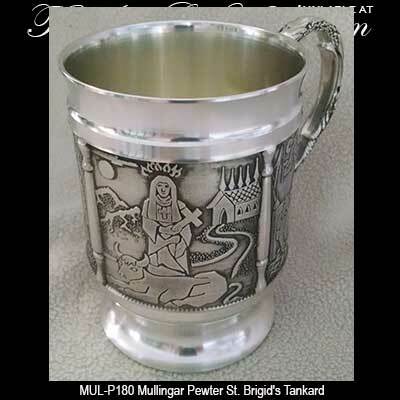 The St. Brigid's mug is enhanced with an embellished handle; it measures 3 1/4" wide at the rim x 4 1/2" tall and holds a 16 ounce pint. 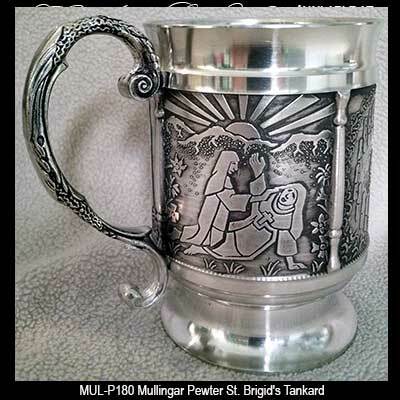 This Irish tankard is made in Ireland by Mullingar Pewter and it is gift boxed with a St. Brigid's history card, complements of The Irish Gift House.